What is fundamental to TypeScript is its optional, statically-typed system. Types can be added to variables, functions, properties, etc. and helps make the code more readable and bug-free for React developers if they use React with TypeScript. Types also help when using libraries and frameworks, as they let developers know exactly what type of data the APIs expect. More specifically it eliminates the usage of React’s PropTypes, and therefore makes it easier for React developers to code. Typescript’s Intellisense is a huge help towards fast app development. All the best IDE’s available today including VSCode, Atom, WebStorm, Visual Studio, Eclipse support code completion, and so much more, as they provide better autocomplete and snippet generation. 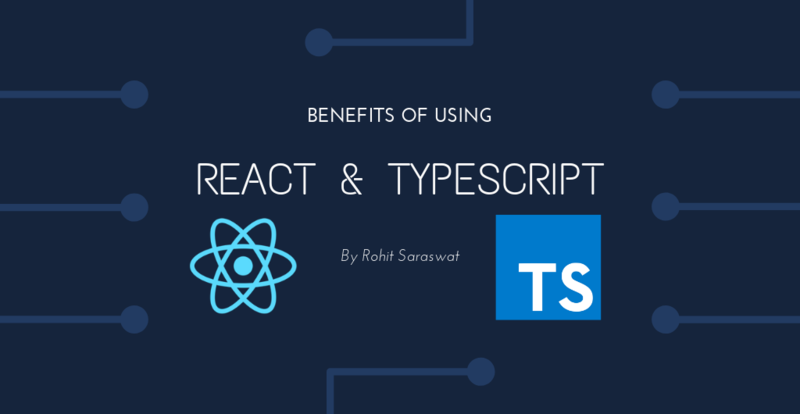 In all, using React with TypeScript brings these strong IDEs they into the foray enabling a better and faster app development experience to React developers. TypeScript provides Interfaces to React developers, thus enabling complex Type definitions. This is helpful when we have a complex type that we want to use in our application, such as an object containing sub properties. Using Interfaces results in strict, in-time checks, which in turn reduces the number of possible bugs you might have produced without it. So code quality and simplification are other advantages that using React with Typescript brings to the table.